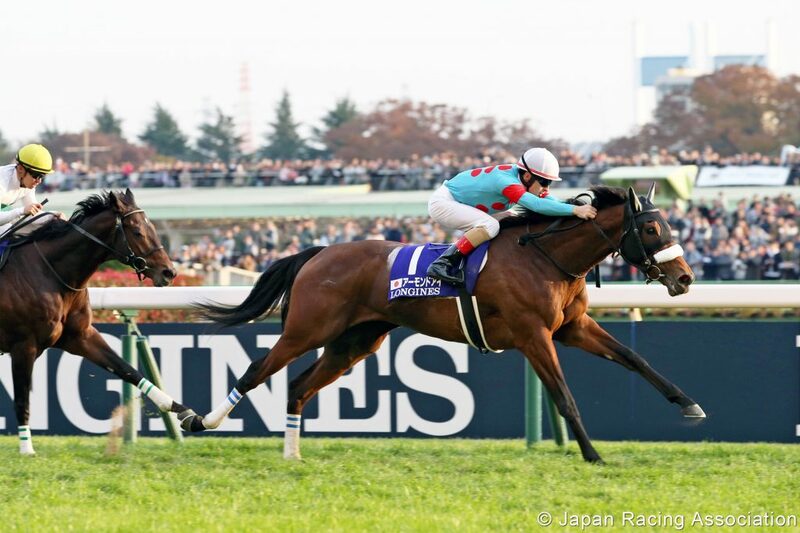 Fresh from securing the Japanese fillies’ Triple Crown, the Sakae Kunieda-trained Almond Eye claimed the Grade 1 Japan Cup (1m4f) at Tokyo on Sunday, in the process smashing the track record. Partnered once again by Christophe Lemaire, the pair travelled smoothly in the opening stages of the race before quickening clear in the home straight, defeating the front-running Kiseki by two lengths. There was European interest in the contest, with the David Menuisier-trained Thundering Blue bidding to follow up his recent second in the Grade 1 Canadian International Stakes at Woodbine last month. He was joined in the race by the Aidan O’Brien-trained Capri but the pair raced near the rear of the 14-runner field and never threatened to get involved at the business end. A masterclass of a ride from William Pike helped to continue the outstanding rise of six-year-old mare Galaxy Star as they took the Group 1 Railway Stakes (1m) at Ascot (Australia) on Saturday. Galaxy Star, trained by Grant and Alana Williams and owned by Bob Peters, was settled in the second half of the field on the rail during the opening stages and Pike had to stay composed as he searched for a gap to mount his challenge. Once switched to the centre of the track, Galaxy Star shot through and soon pulled clear to beat Gatting by a length and three-quarters, with a short-head back to Material Man in third. It proved to be a magical afternoon for Pike, Western Australia’s champion jockey who is known as ‘The Wizard’. He booted home four winners on the day, also taking the Group 2 W.A. Guineas (1m) on Arcadia Queen, trained by Grant and Alana Williams for Bob Peters.